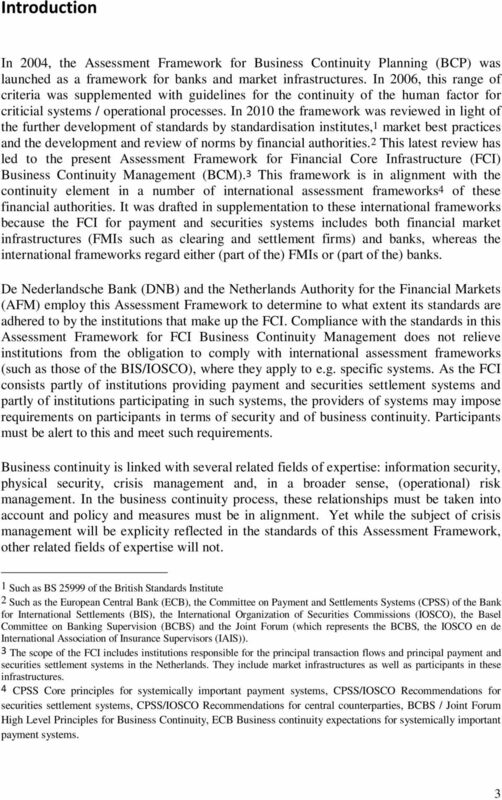 Download "De Nederlandsche Bank N.V. May 2011. 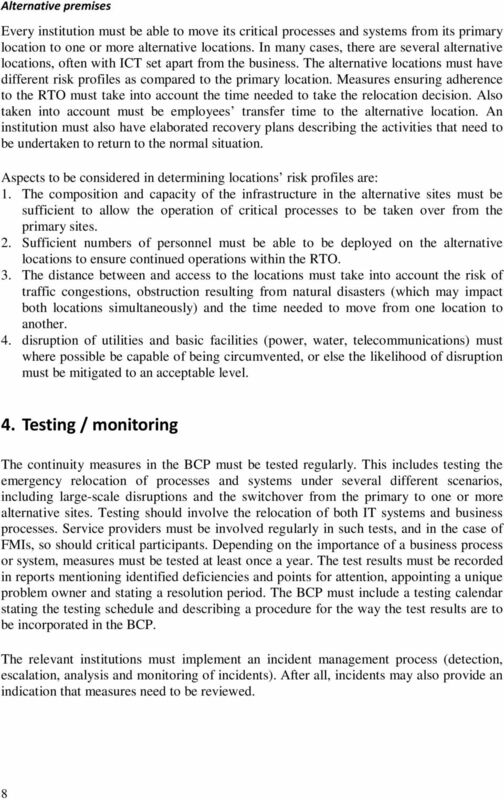 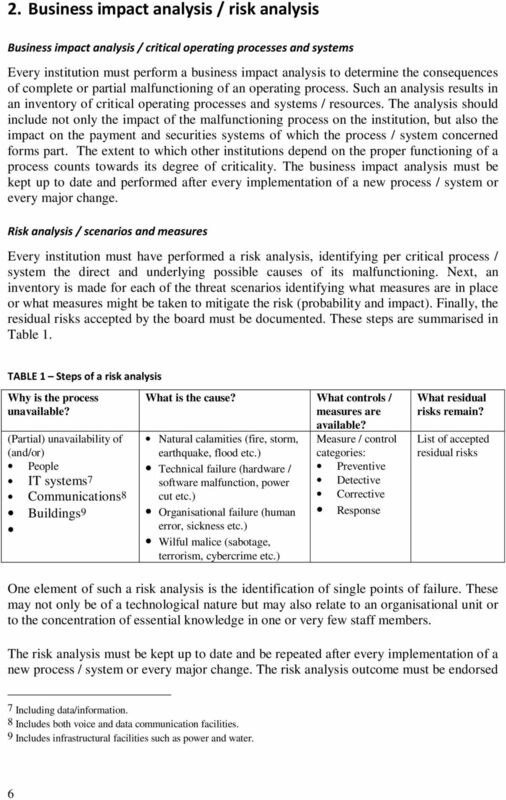 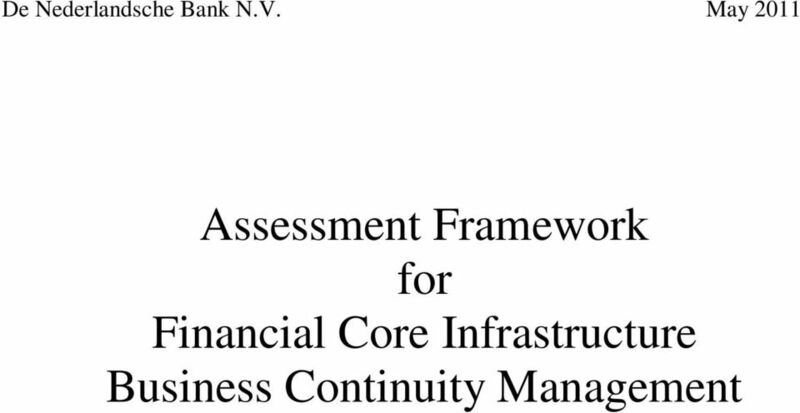 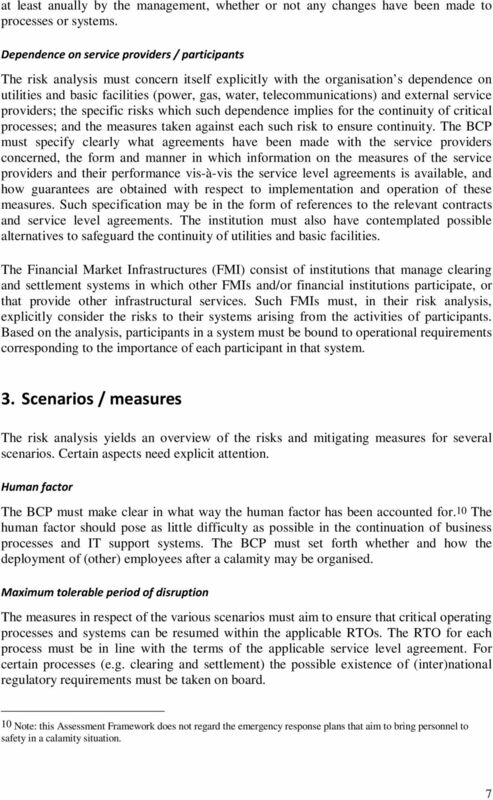 Assessment Framework for Financial Core Infrastructure Business Continuity Management"
Principles for BCM requirements for the Dutch financial sector and its providers. 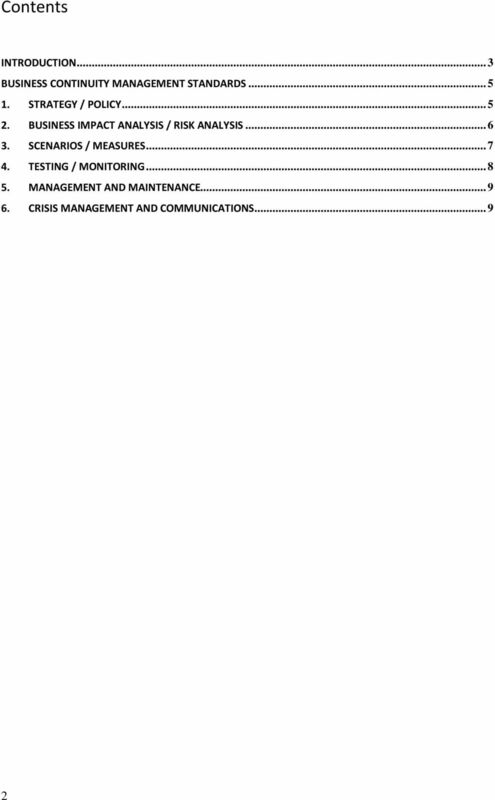 Shankar Gawade VP IT INFRASTRUCTURE ENAM SECURITIES PVT. 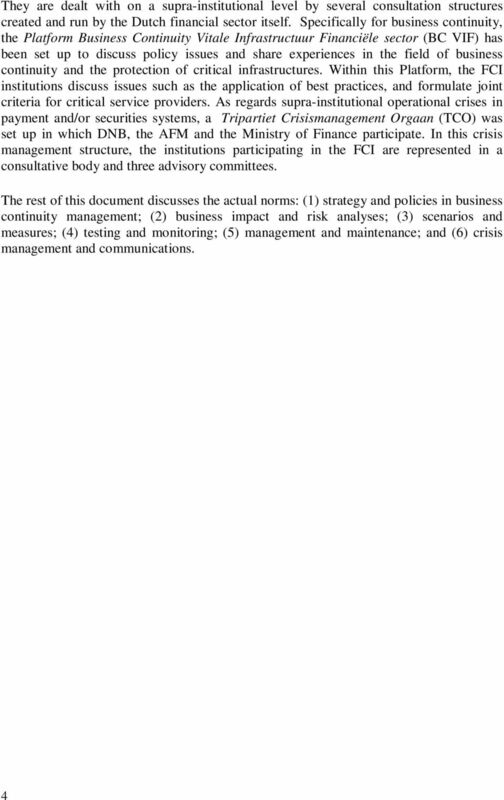 LTD.
: Chief Executive Officers of all Licensed Commercial Banks, Primary Dealers, Central Depository Systems (Pvt) Ltd. and LankaClear (Pvt.) 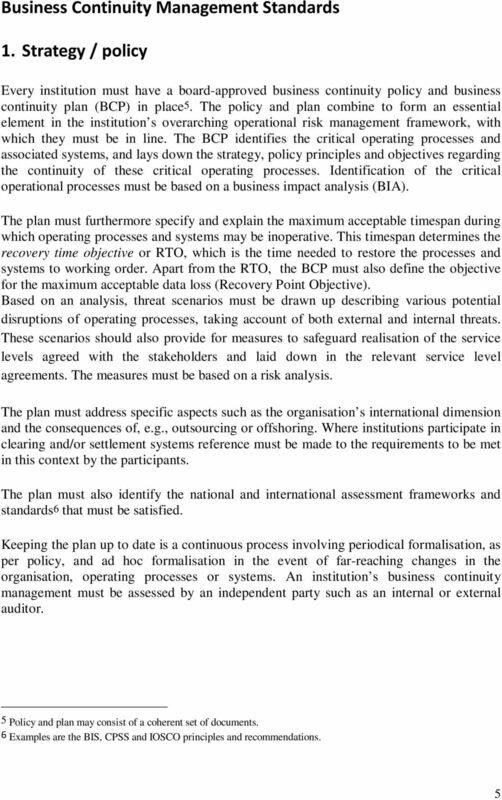 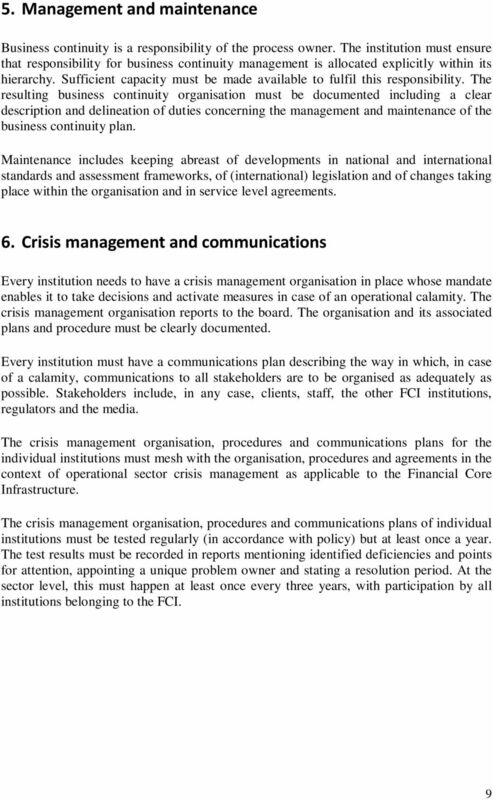 Ltd.
Business Continuity Management Version 1.0-2014 Date October 18, 2014 Status Author Business Continuity Management (BCM) Page 1 of 8 Table of Contents 1. Credit Suisse Business Continuity Statement 3 2.